In this week’s interview we bring to you the story of a person who tells stories as a profession. 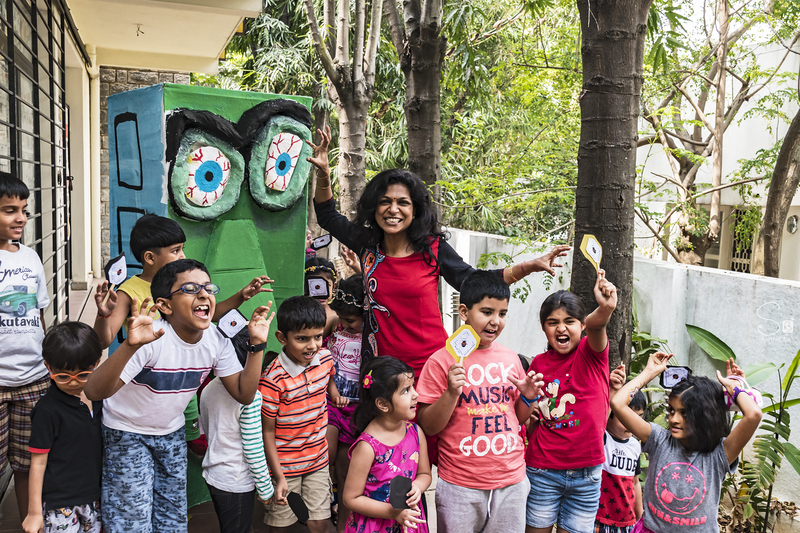 Meet Aparna Athreya, founder of Kid and Parent Foundation – a parent, educator, counsellor and a proud story-teller. 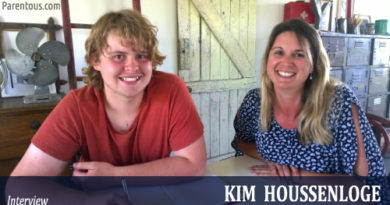 In this interview she talks about parenting, her inspirations and her journey from the software industry into the education space. Q: Tell us about Aparna Athreya- her background, her interests and her secret superpowers that no one knows about. 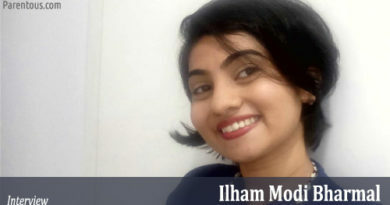 I am a Chennai-born Bangalorean who grew up with her grandparents and a family who fussed, meddled and told us what to do. The thing I remember most from my childhood is reading innumerable stories off second-hand books. I would buy every book because my pocket money could only afford those. I had many friends and we had a fulfilling and action-packed childhood together. I went on to become an engineer because everyone I knew was becoming one and worked for nearly 16 years. The time I spent in the software industry was rewarding because I met the most brilliant and diverse bunch of people. I think my secret superpower is the ability to spin an invisible yarn connecting me to people at a deeper level. It is this connection that has stood me in good stead in my work as a parent, educator, counsellor, storyteller and entrepreneur. Q: Can you tell us about the books you’ve authored? I have written a book of 26 stories which are alliterations for each letter of the alphabet. It is a Rebus reading book and helps early readers find love for the language through stories, pictures and activities. Another book which I have worked on is an early-mathematics activity book that focusses on children’s cognitive progression and being developmentally appropriate. Q: What motivated you to start Kid and Parent Foundation? There were a lot of little signs, all pointing in one direction. My volunteering work in the CSR projects where I watched children rapt and ready for more; my own children’s reaction to stories and their creative indulgence; and my very spiritual experience that drew me to children in the Mother’s shrine in Pondicherry. These occurrences led me to believe that I could make a difference in my parenting and in the lives of children all over the world. Q: What are the main services offered by Kid and Parent Foundation? 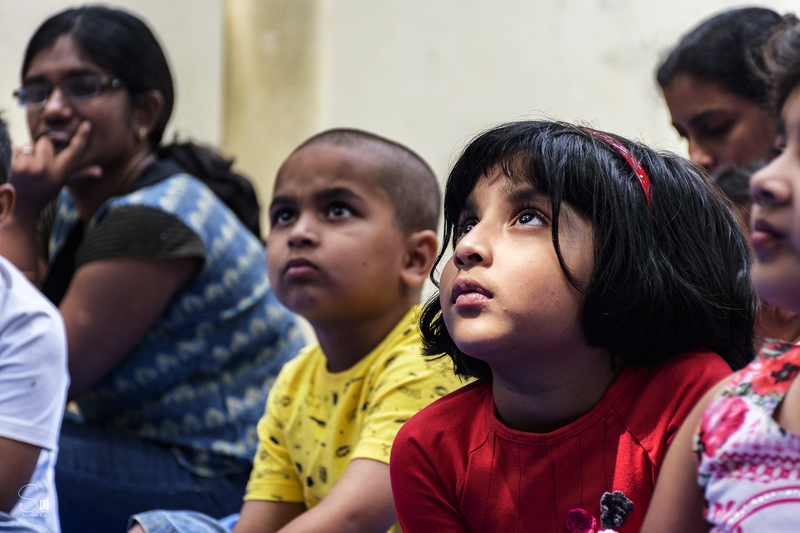 Kid and Parent Foundation is an educational organization that uses storytelling and other creative mediums to foster development – language, cognitive, socio-emotional and social – in children. The organization runs training programmes for parents, educators and children using innovative mediums to create rich learning experiences in schools, colleges and teacher training institutes. The most effective programme run by the organization is a year-long life-skill development programme called AHAM (A Holistic Awareness Model). AHAM uses a highly engaging, activity driven approach to help develop cognitive, social and emotional skills in every child appropriately. Q: What is amiss in our current education system and how can parents make sure their children are not negatively impacted by it? It is a vicious cycle that has been created by the educational ecosystem. With growing number of people, the competition is perceived as higher, which has made the parents expect more from children and the educational institution therefore land up putting more pressure on students and parents. Given the school pressure, parents attempt to sort their children out and thus the cycle continues. Somewhere in all this, the learning for a child by way of quenching curiosity and inquiry is completely lost. The solution is to really look deeply at the “competition” and see if it is really important in the bigger picture of life and life’s value. 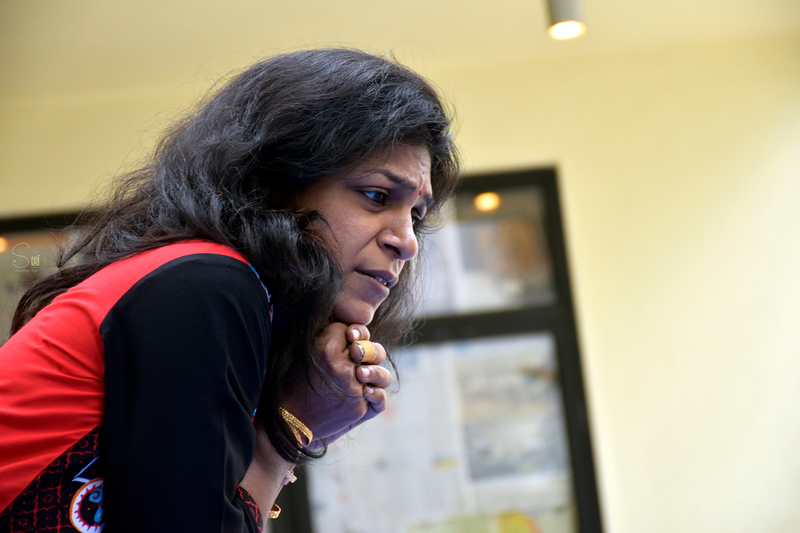 Q: What is a day in the life of Aparna Athreya, the mother, entrepreneur and life-skills trainer? My day starts like a typical mom’s- mad mornings, getting the children up and ready. For me, they are the biggest learning ground for my own life skills. The rest of my day is spent in learning, planning, strategy and trainings. My evenings are typically spent with my family either getting cajoled, debating, playing or with their books (in that order!). My husband is one of the best storytellers I have known, but then most fighter pilots in the IAF are! My nights are my favourite times when I read for pleasure. There is a pile of books by my bedside yearning to be read. All in all, the days are both exhausting and exhilarating! Q: Tell us about an instance where your work has positively impacted someone? I work with young children on various emotional skills and during the course of time, there was a scenario presented to 7 year-olds which asked what the children would do if their mother was unwell and couldn’t keep their promise of making their favourite lunch. There were many responses “I will adjust”, “I will order lunch from outside” “I will forego my favourite lunch” and so on but one girl was really quiet and when I asked her if she wanted to respond she said “I am wondering what my mother will eat if she is unwell. I was thinking about what I could cook for her”. I had to control my rush of emotions. For a 7 year-old to understand and show empathy is something that has stayed with me. There was another parent who once came up to me and said “Your classes made me reach late for my dentist appointment but I understood the worth of being late for the first time”. He went on to explain that he was headed to the dentist with his son and were stuck in a terrible traffic jam when suddenly from far behind them, they could hear an ambulance with sirens blaring. His son forced him to park by the side and redirect traffic until the ambulance could find its way ahead. His son kept saying “The person inside the ambulance needs kindness”. That parent had a life lesson given by his son. How beautiful! Q: Answer in one word – What would you like your children to remember you as? Metaphorically, Slippers! I would love to be around always, helping them to tread on a road of their choosing, protecting them when the ground beneath gets rough and most importantly growing old with them. Q: How has being a parent influenced your life? What have you learnt about yourself after becoming a parent? Q: Would you like to share any tips or tricks with other parents in our community? Our lives are filled with hues of grey and the most important thing is for a parent and a child to have is a relationship of love, trust and respect for each other. Each situation will demand a different approach which works with that child and the parent will know the one to take once they really listen to their child – verbally, non-verbally and with their heart. The trick is to understand your child inside out and you will find the courage to be curt or compassionate; for you will know that whatever happens; you will together make it right!